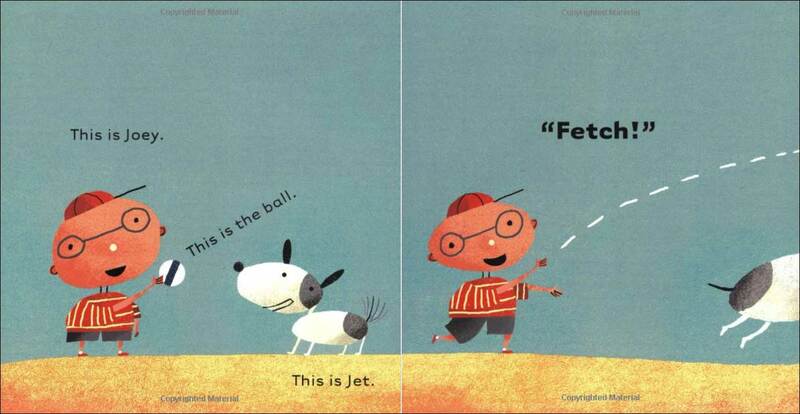 Joey and Jet -- A cute picture book with lots of prepositions! James Yang, the creator of this book, is an artist and this book is really more artistic showpiece than storybook. 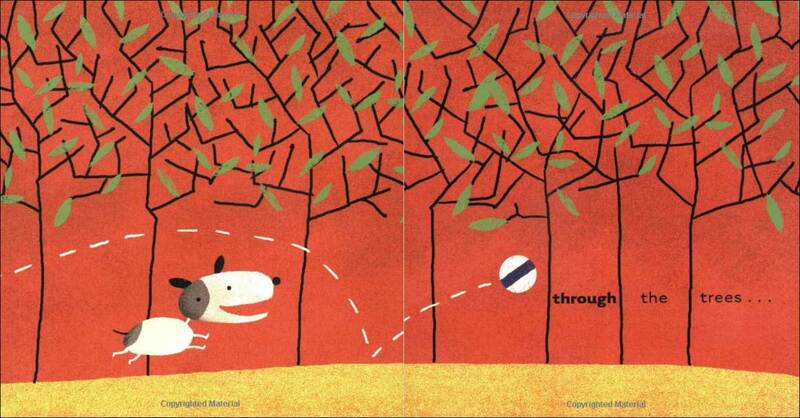 The plot is very simple--a boy and his dog playing fetch--but that's okay because the quirky digital illustrations are pretty spectacular! 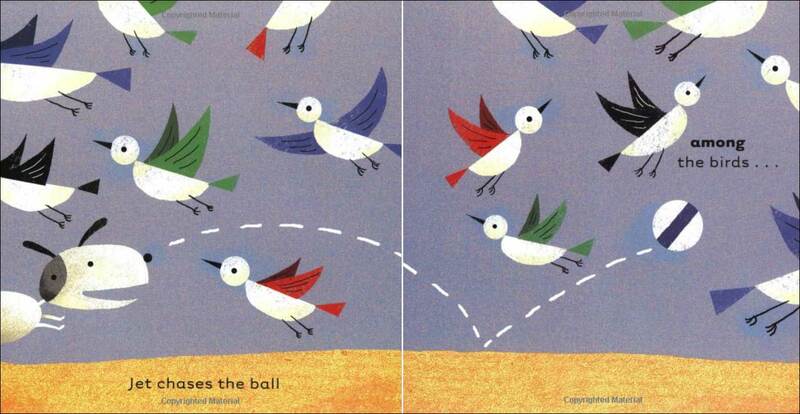 In the 'story', Joey throws the ball, and Jet chases it among, through, between, over, up and down items in the landscape, making this title a fun addition to lessons on prepositions. To be clear, this book does not teach prepositions (what they are, when to use them), but if you are looking for 'real world' examples in picture books, this one does pack in quite a few of them and does so against a backdrop of fun, bright, retro-style illustrations. 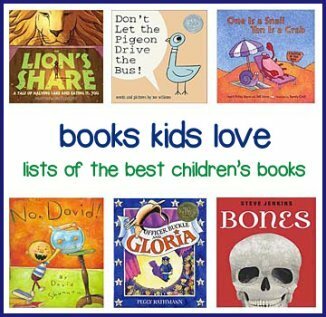 In their review, Booklist said: "Fun to look at, this is a clever, energetic romp." Below are sample pages from inside the book. Your students will love the bright, quirky illustrations! Be sure to let them savor the illustrations because there really aren't many words--just three or four per spread...but always with a preposition!